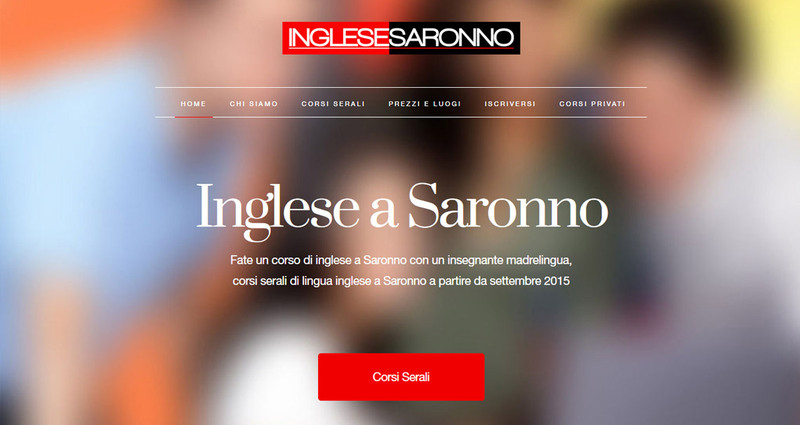 Between 2012 and 2018 we have created several websites for this language school group in Italy, one example of which is inglesesaronno.it - possibly the simplest website we've ever created! This particular website was specifically created to promote evening group language courses, using a minimalistic style with very little written content. Like so many websites, inglesesaronno.it needed nothing more complicated than a contact form, which meant it was perfectly suited to be built as an HTML website. Surprisingly, as it has very little writen content, it has proven extremely effective. The inglesaronno and other websites belonging to this group are managed and hosted by us on our own server. In accordance with the group's desire to keep their websites fresh, the site is scheduled for an update and redesign in the autumn of 2018.